that it was like a morning mantra. Many of you would have started the year with a strong zeal to make history. Now that the storm has passed, majority of you aspire to become engineers and make our motherland a proud and developed nation. You dream of becoming the future Henry Ford or Steve jobs or Albert Einstein. With big dreams and high hopes, you try to get enrolled in the best engineering college fighting your way through the battle of seats (counselling and entrance exams :-p). theoretical knowledge and leave the practical aspects of it to the students. The most disturbing part is 95% of the students do not know how to start working (or) what to work on (or) they start working on something and are not able to finish it. To help all these students a group of students from IIT Madras started Lema Labs a company incubated at IIT Madras. They came up with a course called Kaizen Robotics Program along with the guidance of their faculty that aims at building an ecosystem for emerging technologies by providing support to stakeholders which include student community, educational institutions and the industry. 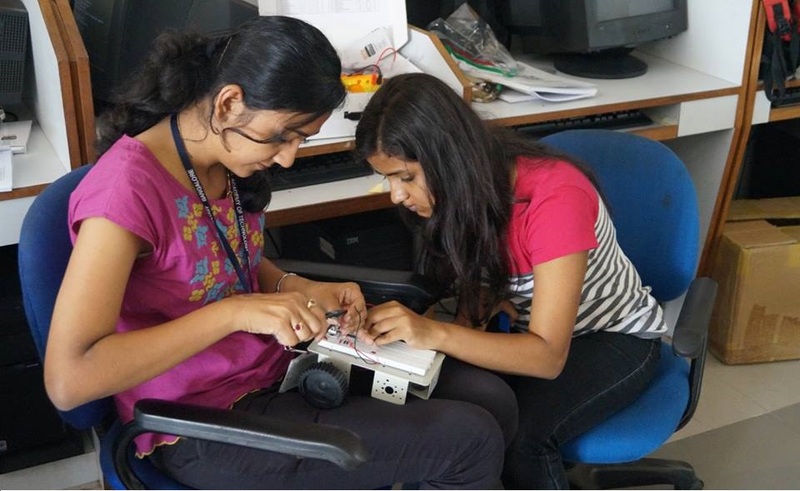 Lema Labs has trained more than 4000 students across Chennai and Bangalore. When you start your engineering journey, you get the confidence to work on any project and guidance from the experts at Lema Labs if you encounter any problems. This summer Lema Labs had designed a curriculum exclusively for 12th pass out engineering aspirants. This is a fun packed program taught from the grass root level. You get to see and feel technology. Thereby when you start your engineering journey, you get the confidence to work on any project and guidance from the experts at Lema Labs if you encounter any problems. Join the program and stay 1 step ahead in your engineering. Kaizen Robotics Program is a certificate program to provide students a steep learning curve in the field of robotics. Kaizen is a 2 year curriculum for emerging technologies developed by Lema Labs incubated at IIT Madras Incubation Cell. Our top trainers will conduct intensive training for 5 days which is completely hands on. The students get to learn and feel technology from our experts. During the 5 days, the students build 10 robots. On the 6th day, a competition is held where a problem statement is given and the student along with their team has to solve it. Post the completion of the intensive training, the students get the confidence to work on any project and develop solutions using technology. So they start their engineering in the right note and make the best use of the next 4 years. During the course, a very elaborate kit of components required to build the robots will be provided to a team of 3 students. Necessary resources such as theory booklets, practice handouts and software will also be given. At Lema Labs, we believe that this is the most important part of the program where we help the students on any projects of their interest. In Engineering colleges, Students don’t work on projects because of lack of guidance. We make sure that this is not a problem for the Kaizen students. A Trainer will be assigned to each student who will help them throughout the guidance phase. In case the student is not able to visit our office at IIT Madras Research Park, we also provide guidance through hangout sessions, skype or mails. The fee for the program is INR 9000/- (inclusive of all taxes) per participant. The fee includes the training and the 4 month guidance program. The next batch starts on 30th April. Since we have limited seats, a student must pay an advance of INR 1500/- to confirm the registration at lemalabs.com/register . The remaining fees can be paid on the first day of the program. 1. No prior knowledge of Robotics required. 2. A team must bring One laptop of their own. 3. The program is applicable to any discipline in engineering. Interested in a batch after may 10th.